Kroger is fresh off a clever deal with U.K. digital grocer Ocado. 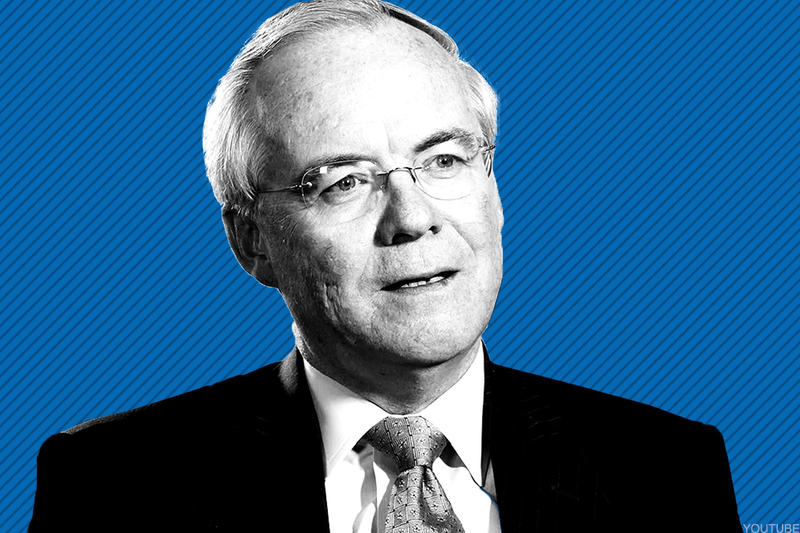 TheStreet talks with Kroger's CEO Rodney McMullen about what he has in store next. Kroger's CEO believes stores are part of its future. Kroger's (KR - Get Report) clever new deal with U.K. digital grocer Ocado may not be its last transaction. "For us, companies of interest would be ones that have our values, companies that would be in new real estate-we would always sit down and look at it, but that doesn't mean something is going to happen," Kroger CEO Rodney McMullen told TheStreet. "We will continue to look aggressively at partnerships when it accelerates the journey we are on and we believe someone else could do it better than us," said McMullen, who started as a store clerk in 1978. TheStreet looks at the future of grocery shopping in America. With a greater presence comes more buying power with suppliers. Kroger's Ocado deal will see it roll out its online grocery shopping and delivery platform throughout Kroger's 2,700 plus chain of stores. The grocer will take a 5% stake in Ocado for about $247 million. McMullen said talks between Kroger and Ocado began two years ago. TheStreet talked with McMullen about the future of grocery shopping and how we plans to keep evolving Kroger. What follows is an edited and condensed version of the conversation. TheStreet: Why did you decide to link up with Ocado? McMullen: If you look at where we are headed from a grocery standpoint overall, what we are finding is that the customer likes to engage with us in a seemless way. That is everything from going to a physical store to delivery to picking up at one of our locations. What we find is that the customer across all three channels expects incredibly fresh product and a great engaging experience with our associates. So everything we can do to further accelerate that in a cost effective way is something we will look at. Ocado is someone we have had conversations with for over two years in terms of the potential and where they are headed. It really got us excited that Kroger could be part of the solution on accelerating a seamless experience for our customer. TheStreet: What will they help you do that you aren't doing already? McMullen: Store pick up is incredibly helpful in terms of us getting started on an online business and making sure we are there when a customer wants a product. As that business continues to grow, it will help us service an order in a more efficient manner. Ocado's 'sheds' use a lot of technology and robots very efficiently to help pick orders and then they use machine learning to deliver that to their customers. It understands traffic patterns and keeps getting better. TheStreet: When you were a store clerk at a Kroger store in 1978, did you envision this type of digitally led environment? McMullen: It's two ways, yes and no. The thing I thought for sure was that grocery would always continue to change. The only that doesn't change is the fact that people eat and people like engaging with people. So that won't change. The thing that changes is what do people eat, how is it prepared, how do we help inspire customers on things that they didn't know about. If you ever think the grocery industry won't change, then shame on you. TheStreet: What is the grocery store model of the future? Amazon (AMZN - Get Report) is opening cashier-less stores, while others are investing in customer service. McMullen: The model we really believe in is that the customer likes to engage with us in multiple ways. So the customer decides how they want to approach us. What we find is that the customer changes from week to week on what they want, the only exception to that is when someone has their first baby they will be much more aggressive on using click lists until they get their life more organized. TheStreet: So do you want to build cashier-less stores like Amazon? Is that an area of opportunity for Kroger? McMullen: We would view the opportunity as letting the customer check out like they want. Today, you can use the Kroger app to shop and pay. We have scan, bag and go. If at some point it made sense to have a cashier-less store we would be very happy, and willing to do it when the economics make sense. It's not something we think will never work because the cost curve on technology keeps coming down. For us today, we believe there are other approaches that have a stronger connection with the customer on a broader basis. TheStreet: Our sister publication The Deal has reported on some grocery store bankruptcies of late, and likely there will be more. Do you envision Kroger bulking up to consolidate market share? McMullen: We certainly see physical stores as part of the solution. If a retailer doesn't connect with the customer their business will decline and they will go out of business. It's happening today, but it also happened 10 years ago and 20 years ago. We always focus on what the customer's wants and needs are. Physical stores will always be part of that total equation. It will be an easy place to go pick something up last minute. It will be engaging with our associates and meeting up with friends. TheStreet: So you are interested in buying real estate or other companies? McMullen: For us, it's about what people would have our values, companies that would be in new real estate - we would always look at it. But just because we look at something that doesn't mean something is going to happen. We would continue to look aggressively on partnerships when it accelerates the journey that we are on and we believe someone else could do it better than us. TheStreet: Grocery stores have gotten a bad wrap the past year. Walmart (WMT - Get Report) is investing billions to slash prices. Amazon bought Whole Foods and allegedly may crush rivals with delivery. How competitive are things right now? McMullen: One of the most important things I think to look at is asset turns in addition to looking at profit margins. The grocery industry's return on investment continues to be strong and well in excess of the cost of capital. So, when I look at the business overall people will always eat and it's our job to figure out how they want to eat. We will be there however they want to be served. I am as excited about our business today as I was five, 10, or 15 years ago. When people look at profit margins they are only looking at half the equation. And there are still a lot of opportunities to take costs out of the business because their are still inefficiencies in how the work is done. TheStreet: Investors are overreacting then? McMullen: We have given our customers billions of dollars in lower prices as well. And we have been able to pay for that by taking out billions of dollars in cost through process change and working with suppliers. So, that has been true for the last 50 years in retail.